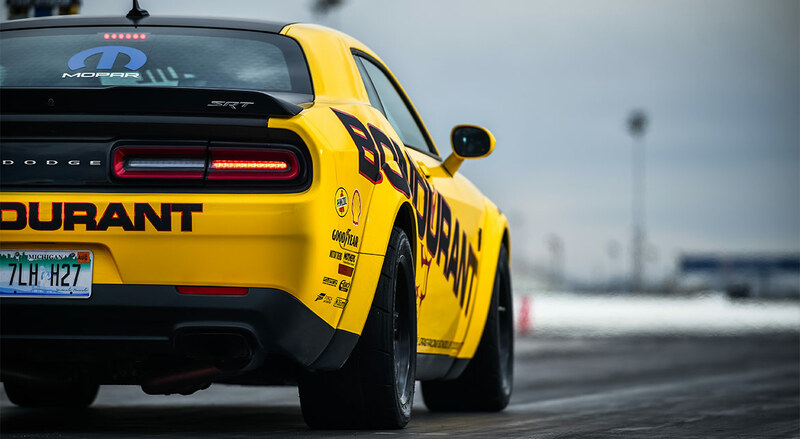 Nothing says “Dodge” like friendly competition mixed with a healthy dose of smack-talking, so that’s exactly what was created for enthusiasts with the 2018 Drag Strip Showdown contest. 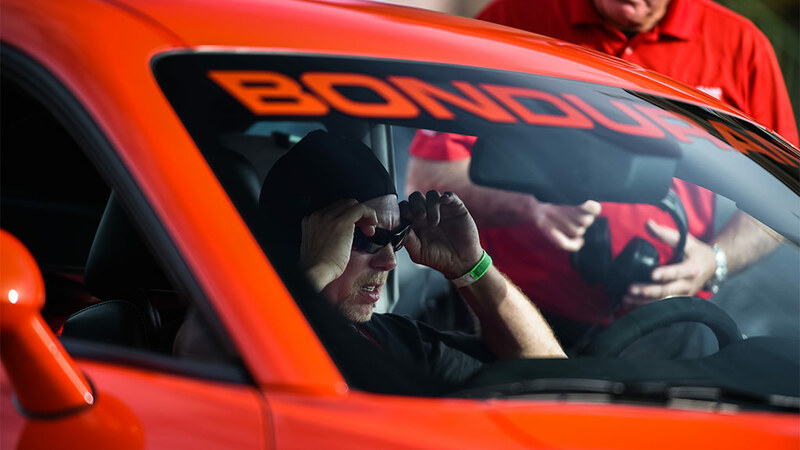 There’s always a line of fans waiting to best their reaction and 1/4-mile times in the Dodge Challenger SRT® Demon simulators at events, so Dodge launched a nationwide contest for the enthusiasts who got behind the wheel of the simulator to compete for not only pride, but also a kickass prize. 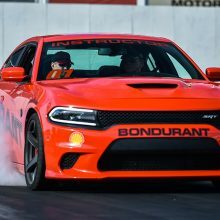 Over 15,000 people competed in the Drag Strip Showdown for the ultimate experience of learning how to drag race the real SRT Demon at Bondurant Racing School. 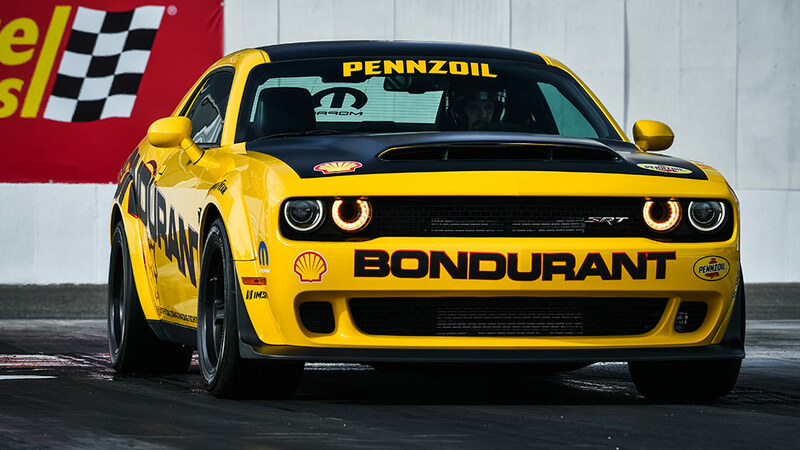 Who would help teach the lucky winners how to operate this 840-horsepower beast? NHRA Top Fuel and Funny Car drivers Leah Pritchett and Matt Hagan of Don Schumacher Racing, of course. 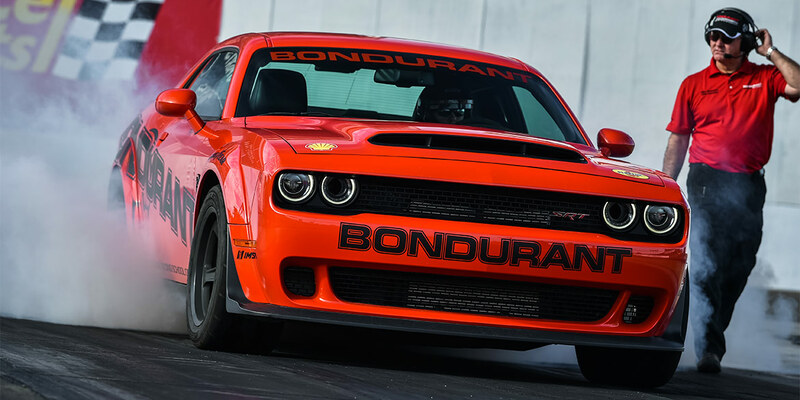 Gary Gandee and Davy Boyd were the lucky winners of the Drag Strip Showdown, and were flown into Phoenix to carry out the ultimate challenge, exorcising an SRT Demon. Although they were definitely up for the challenge, would they be able to transition from simulator to the real deal? 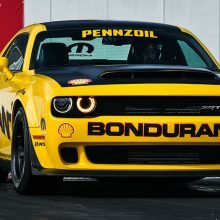 Any time you combine two eager enthusiasts, two professional drivers and two devilish SRT Demons, a wild ride is sure to ensue. 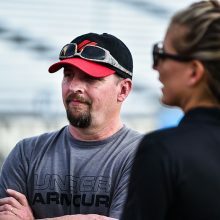 While Gary is no stranger to the drag strip and spends all of his free time drag racing in the summer months, Davy has only done a few passes in his lifetime. 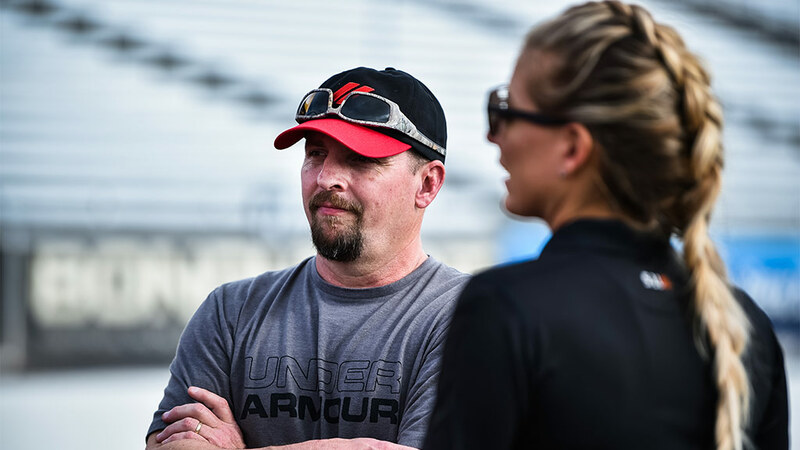 For Matt and Leah, being back at the track was like coming home after a long vacation. Add in being able to help teach fans one-on-one what it takes to drive like a pro, and they were in heaven. So who are these lucky winners? 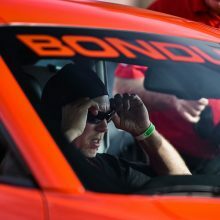 Gandee is a resident of the Seattle area and won his opportunity by qualifying at the Las Vegas NHRA race in October. 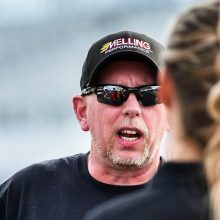 He’s no stranger to speed as he is a former speed skating coach for Olympian Apolo Anton Ohno and owns a ’71 Dodge Challenger that he races every weekend he can. 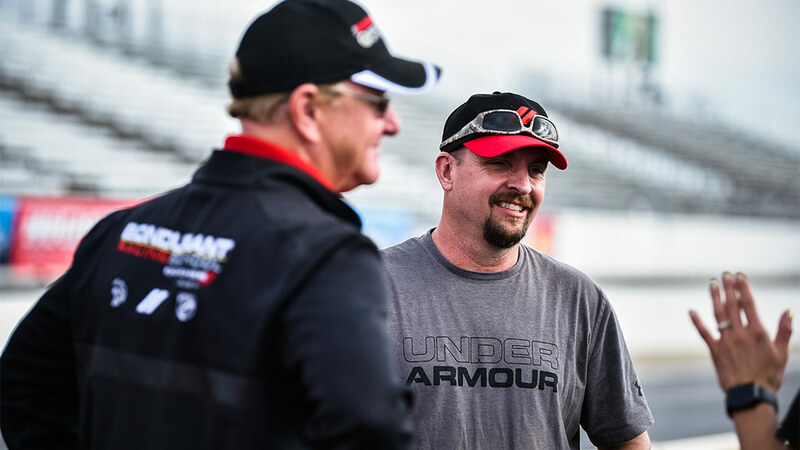 Boyd is a Missouri resident who secured his win by qualifying at the St. Louis NHRA race last summer. He was hesitant about getting into the simulator because he didn’t think he’d do all that well. His wife was persistent and … well … she was right. The day began with instruction from Bondurant’s Chief Instructor, Mike McGovern, along with Matt and Leah. 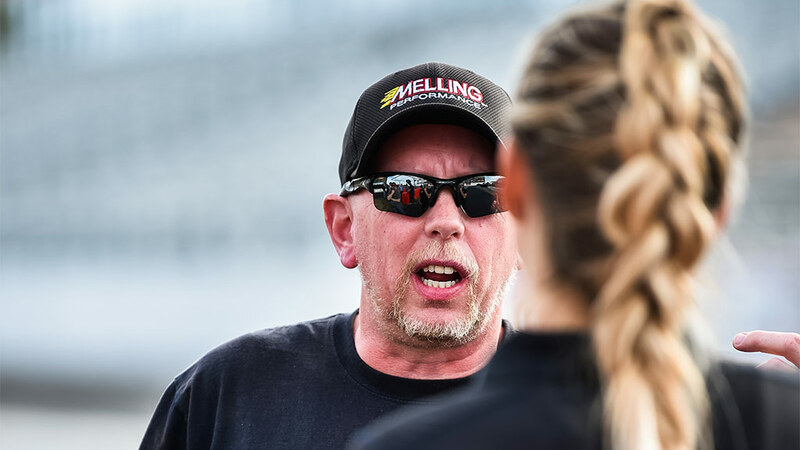 Let’s be honest – you can’t just get in the car, stomp on the gas and expect a respectable 1/4-mile time. 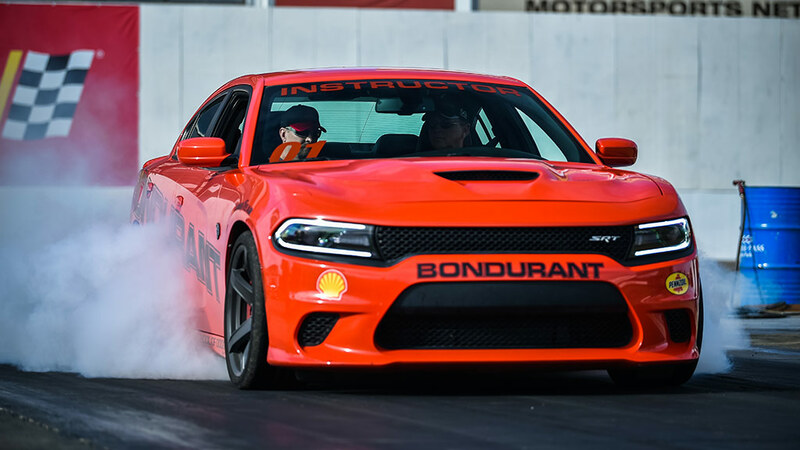 The SRT Demon was purposely built to slay competitors at the drag strip, but to get to the impressive numbers, there is a sequence of steps that a driver needs to follow before showing off their time slip. After getting the steps down, Gary and Davy spent time warming up and trying some 1/8-mile passes before tackling the 1/4-mile. Both admitted that timing on the steps is everything (and something they hadn’t anticipated) and once you master the timing, the adrenaline-pumping excitement blasts you down the strip. 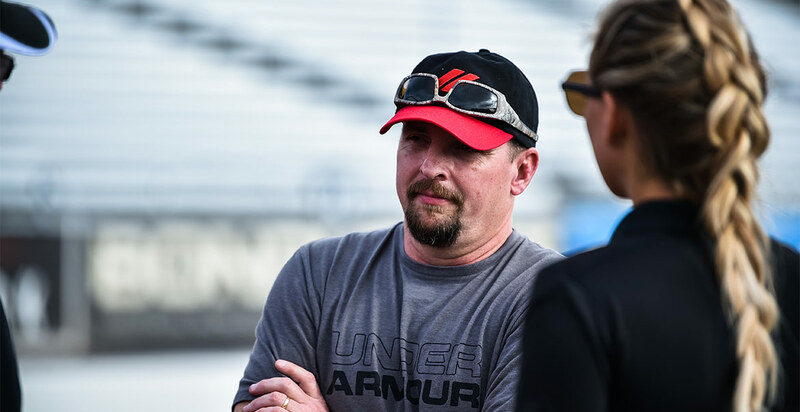 Between passes, Matt and Leah were there to give pointers on how to make adjustments that would better their times. Who else can say that they had pro drivers at the finish line cheering them on as they raced down the track? 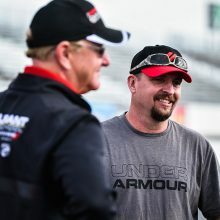 For both Gary and Davy, this amazing once-in-a-lifetime experience definitely has them looking forward to the upcoming NHRA season kicking off in Pomona this weekend. 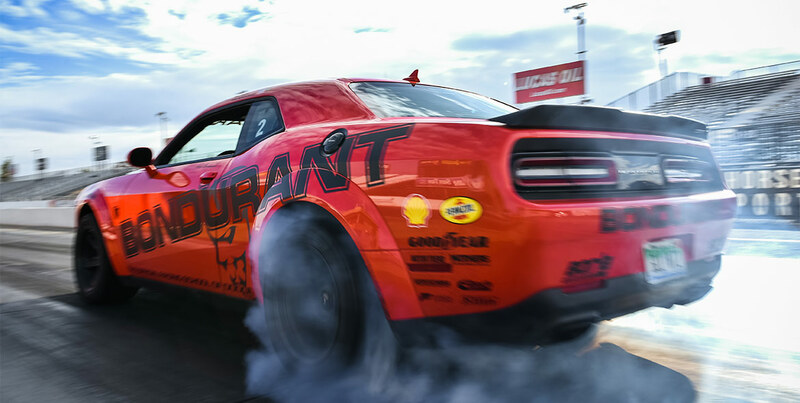 Stay tuned to follow Don Schumacher Racing throughout the season, and to be sure you don’t miss out on the next exciting contest Dodge cooks up!